Hedgehogs don't live in the city! That's the title of a new children's book by Lucy Reynolds and Jenna Herman. As the protagonists soon discover, however, you can find the prickly creatures in zone 1. And they need our help. 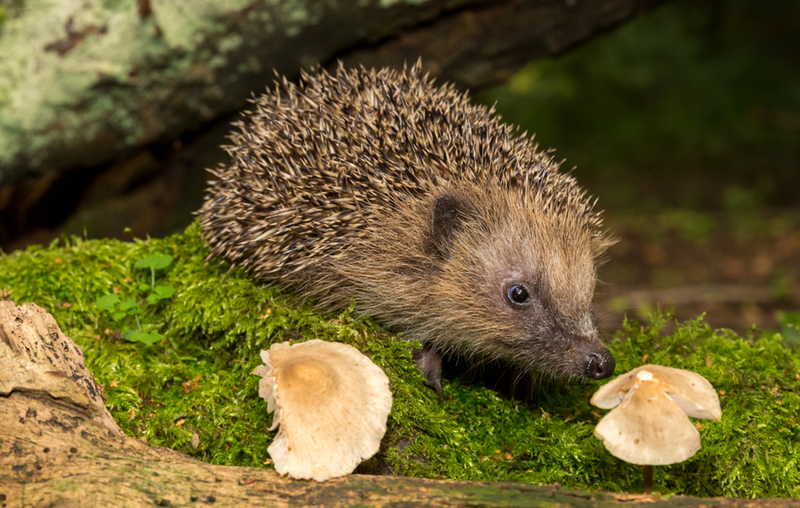 Hedgehogs are in decline across Britain. By one estimate, urban populations have dropped by 30% since 2000. According to London Wildlife Trust, numbers have plummeted from 30 million to less than 1 million since the 1950s. Where can you find hedgehogs in central London? Regent's Park contains the only known prickle of hedgehogs in zone 1. Around 30-40 individuals call the park home. As hedgehogs are nocturnal, and the park is gated off at night, spotting the creatures is not straightforward. That said, hedgehogs range over 1.5 km per night, so you might just spot one near the perimeter of the park. London Wildlife Trust has been mapping sightings in the capital since 2017. Most inner-city hog-spots were in Regent's Park, but the small mammals have also been spotted in less sylvan parts of town including Stepney, Clapham and — remarkably — Houndsditch in the City. Sightings are much more common in the leafier suburbs. 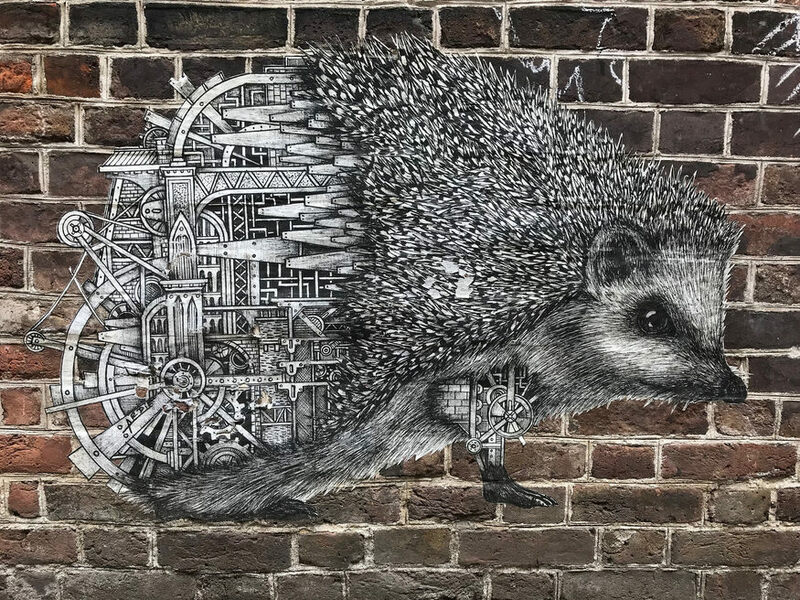 A mechanical hedgehog, spotted in Spitalfields. If you have a garden, and live in zone 2 outwards, then you may well be within range of the creatures. London Wildlife Trust provides tips on how you can help support the local population. Many of us aren't lucky enough to possess anything as flamboyant as a garden, but we can still help hedgehogs in other ways. New developments often reduce undergrowth and block routes for hedgehogs. A change.org petition is calling for compulsory 'hedgehog highways' — small holes in fences to allow the animals to move between adjacent areas — in all new developments. Sign the petition, already approaching 350,000 names, here. Get along to Hedgefest 2018 on 17 November. The mini-festival takes place at the Sebright Arms in Hackney from midday. It includes music, poetry, craft and face-painting in celebration of the small mammals. Join the ~60,000 'Hedgehog Champions' on the Hedgehog Street website, where you'll find practical tips for helping the creatures, alongside news and features. Report sightings of inner-city hedgehogs to the London Wildlife Trust. Buy Hedgehogs Don't Live in the City! direct from the authors in November, and 10% of proceeds from the book will be donated to the British Hedgehog Preservation Society. Or else donate directly here. 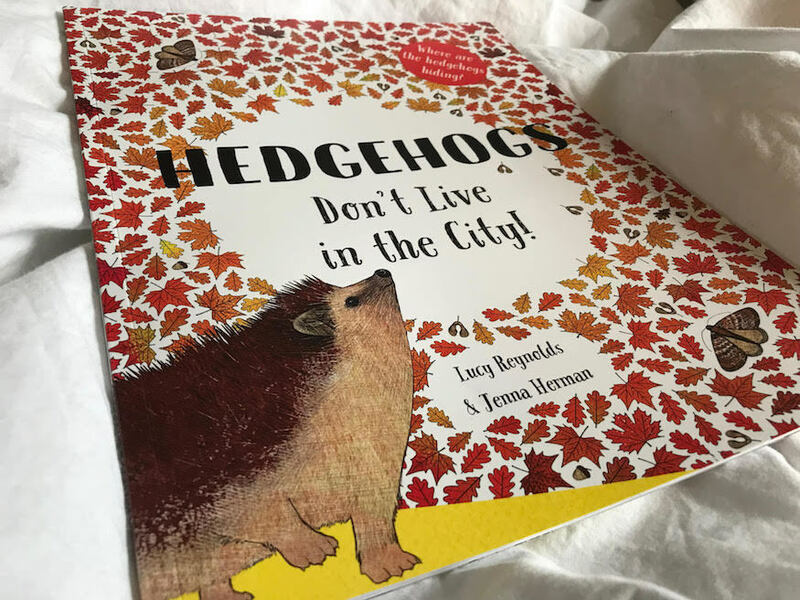 Our hedgehog musings were prompted by receiving this new children's book from Lucy Reynolds and Jenna Herman (also authors of recent book Parrots Don't Live in the City). It follows two children — Grace and Archie — who explore the autumnal corners of London in rhyming verse. It's beautifully illustrated and will appeal to children aged 2-6 (as well as parents). Buy it now from all good independent book shops (or here's the Amazon link).